Robert Branner (1927-1973) was an art historian specializing in Gothic architecture and manuscript illumination. Active as an excavator, he made important discoveries in the chronology and style of French cathedrals, incorporating cultural historical tools into the method of design analysis that had more traditionally dominated architectural history. Branner is remembered through the Robert Branner Forum, a student-run symposium sponsoring lectures several times a year that are open to the public. 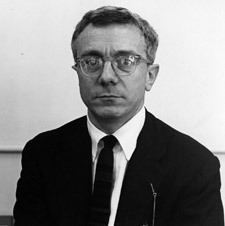 The Forum originated as a series of visiting lectures organized by Branner’s graduate students immediately after his death during the academic year as a way of continuing his courses. It has been supported by his family since that time. Monday, January 25, 2016, 6:30 p.m.
Wednesday, April 6, 2016, 6:30 p.m.
Friday, April 28, 2016, 6:30 p.m.
All events take place in Schermerhorn Hall, room 612. Learn more about the Branner Forum here. This entry was posted in Current Events, Lecture series, Upcoming Events and tagged Benjamin Anderson, Branner Forum, Bronze, Columbia University, Constantinople, Ittai Weinryb, New York City, Robert Branner, Sonja Drimmer on November 1, 2015 by Meg Bernstein. 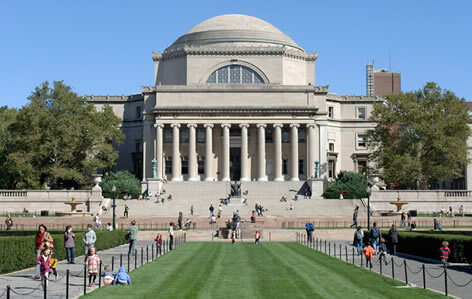 Three Mellon Post Doctoral Teaching Fellowships/Lectureships will be offered in the Department of Art History and Archaeology at Columbia University for a period of two years beginning July 1, 2014. Ph.D. or equivalent required. The degree must have been awarded in 2013 or 2014 or applicants must have a firm scheduled date of defense on or before May 24, 2014. Specialization may be in any field of art history. In addition to conducting their own research, Fellows teach Art Humanities. In the second year, Fellows have the option of teaching an undergraduate seminar in their own field of specialization in lieu of one semester of Art Humanities. For more information and to apply please go to the website. This entry was posted in Funding and scholarships and tagged Art Humanities, Columbia University, Three Mellon Post Doctoral on January 16, 2014 by mariaalessiarossi. This paleography workshop will provide intensive training in the accurate reading, editing, and interpretation of a manuscript in Middle French, in this case a complex and intriguing late-Renaissance compilation of a practical and proto-scientific nature. Participants will work on a collaborative transcription and translation of the manuscript using new digital tools and methods. The manuscript, Bibliothèque nationale de France, fr. 640, written around 1580 by an anonymous French-speaking craftsperson, covers some 170 fols. with detailed instructions, including first-hand observations and illustrations, for a number of processes that we would now classify as part of fine arts and technology, such as drawing-instruction, pigment-making, metal-coloring, counterfeit gem production, cannon-casting, tree-grafting, land-surveying, a practice of taxidermy to manufacture monstrous composite animals (kittens and bats), making paper mâché masks, and much more. 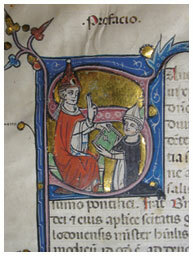 The margins are filled with comments on experiments, an indication that the book was most likely a record of practice. The manuscript thus offers exceptional insight into how natural materials and art objects were made, collected, appreciated, and circulated in the late Renaissance. It also provides a rare view into attitudes to nature out of which modern science eventually emerged. The workshop, directed by Prof. Marc H. Smith (École nationale des chartes/École pratique des hautes études) and Prof. Pamela H. Smith (History, Columbia University) is part of a larger interdisciplinary research and pedagogical initiative that aims to support the transcription, translation, annotation, and experimental reconstruction of the technical processes described in the manuscript, with the final goal being the publication of an electronic critical edition of the manuscript. The three-week course, held on the campus of Columbia University, will begin with general instruction and bibliographical information concerning the historical context of the manuscript, French Renaissance paleography, Middle French, and principles for transcription and translation, as well as instruction in digital methods, such as collaborative editing, annotation and versioning methods. Then, for five days a week, morning sessions will be devoted to reading, annotating, and translating the text collectively. In the afternoons, students will be able to work in groups on selected sections of the text to be discussed on the following day. Up to 15 participants will be enrolled from the U.S. and abroad. First consideration is given to PhD students, but applications will also be accepted from professional staff of libraries and museums, and from qualified independent scholars. Advanced French-language skills are required. PhD applicants selected for admission will receive a stipend to help defray the cost of attending the workshop. The workshop is offered tuition free. Applicants should submit a CV containing names and addresses of two references, a 3-page letter explaining their reason for application, and transcripts showing successful completion of coursework or other evidence of competence in the French language. Experience and interest in the digital humanities will be an advantage. Applications, along with supporting documents, should be emailed to Claire Sabel (ccs2137@columbia.edu) by February 21, 2014. Inquiries should be directed to the same address. Successful applicants will be notified by the beginning of April. This entry was posted in Call for Participants and tagged Bibliothèque nationale de France, Columbia University, French language, Manuscript, New York, Palaeography, Workshop on December 31, 2013 by mariaalessiarossi. The Department of History at Columbia University in the City of New York invites applications from qualified candidates for a postdoctoral position in a Research and Pedagogical Initiative in ‘Making and Knowing’. The postdoctoral scholar will hold the title of Lecturer in Discipline. In each semester, the successful applicant will co-teach a section of a new course, ‘Historical Techniques of Making,’ which integrates seminar-style discussion and work in a laboratory, and assist in setting up and leading activities in the laboratory; will teach one section of the Introduction to Contemporary Civilization, a central part of Columbia’s signature Core Curriculum, and attend Core Curriculum weekly preceptor meetings as required. The appointment start date will be July 1, 2014. Renewal for a second and third year will be contingent upon satisfactory performance. The starting salary will be approximately $50,000, plus benefits. A PhD, preferably in history or a cognate discipline (such as art history, conservation or history of science) and significant experience and expertise in laboratory, conservation, or studio work, are required. Knowledge of digital humanities methods will be considered an asset. PhD must be in hand at the time of the appointment and cannot have been awarded prior to July 1, 2011.
Review of applications will begin 6 January 2014 and will continue until the position is filled. This entry was posted in Jobs and tagged art history, Columbia University, history, jobs, lecturer, New York, postdoctoral on December 12, 2013 by michaelazoeschg.